We started out as a bunch of friends who wheeled recreationally at places like the Rubicon, Johnson Valley, and Baja. As the friendly competition grew amongst our group, our rigs became more advanced, KOH was started, it was only a matter of time. In 2013, we decided to make a run at KOH and things have just continued from there. Currently there is four of us from our group of friends, all from the Salinas Valley of California, that do business together and race Ultra 4. In one way, shape or form, we are at most west coast Ultra 4 events. Sometimes as racers, sometimes as support. 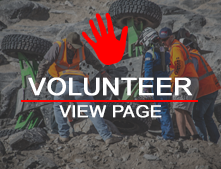 Salinas Valley Racing a team that is serious, competitive, and committed to off road racing. As competitive as we are, we also continue to be as committed to maintaining family and friendship as part of the overall race program.